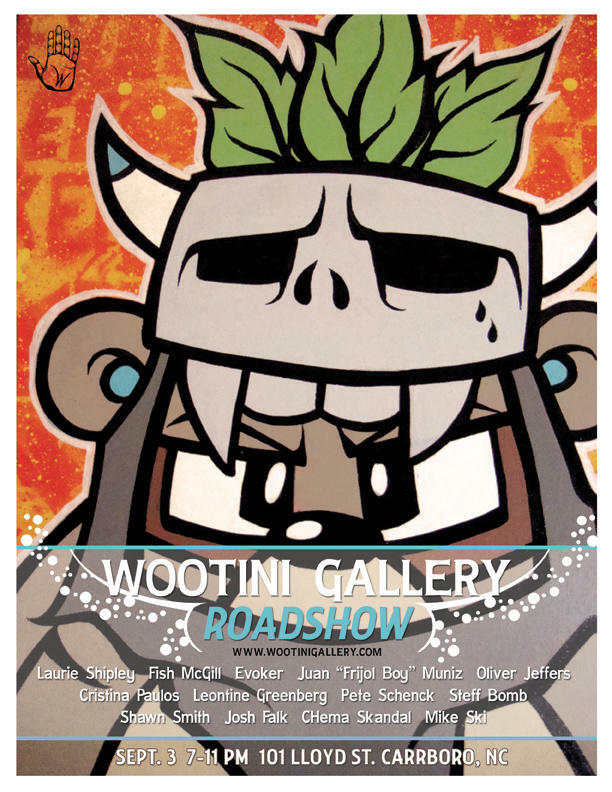 Wootini Art Tour | Go Team Sweet! For the Wootini Art Tour that I ventured on this past summer, I traveled to Chicago, where I was fortunate enough to run into Shawn Smith and do an impromptu interview at OhNo!Doom Gallery. Thanks, Shawn! Okay – so I realize it has been FOREVER since my last post! My apologies! I’ve been changing gears and changing focus which means spending many hours on The Wootini Gallery Art Tour! Check this puppy out – I traveled around the USA with both New Zealand and American friends, interviewing artists and snapping photos! Now – I have brought back the artwork with me and am holding an exhibition at Wootini Gallery in Carrboro!